Servers | KGS | PETERPANDA is ... Now we know her real name! PETERPANDA is ... Now we know her real name! MilanMilan and PETERPANDA played 2 games today. The score is 1-1. Here is the second game. 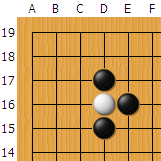 Black was behind after fuseki, but a brave overplay Black 103 changed the situation. I guess, that White made some mistakes in attacking the invader. Maybe you are curious about the real name of PETERPANDA. 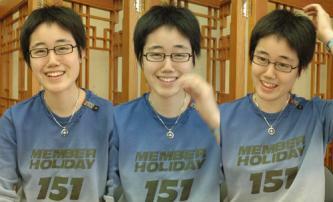 i became professional at 2005. i have ever been to best 8 of female tournament. Only 2 girls become pros every year in Korea, so it's easy to find her. We have more and more pro teachers on KGS and it's good that they play each other sometimes!